February 26, 2016, marks a milestone in Irish politics. The country finally begins to steer away from the traditional Fianna Fáil – Fine Gael political combo that has ruled Ireland for decades. Gone are the days of taking expected turns at the helm for two parties with pretty much identical political goals, goals which did not generally uphold the greater good. Instead, they catered for the wealthier class, the property developers, the sector of society that could put forth hefty political donations in return for favors. For the rest, well, let them eat cake, as the saying goes. Election 2016 has seen a brand new political force break apart the two-party system of yonder years. The Independents have risen from a relative obscurity, becoming more than a bunch of lads standing on a corner of the high street handing out leaflets from a shabby plastic table. 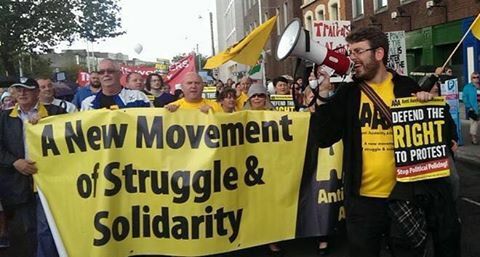 The smaller parties (People Before Profit, Anti-Austerity Alliance, Renua, and others) have now become major players in the Irish political battlefield, and their influence will likely swing seats in many constituencies. oday’s a momentous day for Ireland. The people have spoken loud and clear via their power of vote, sending a diaphanous message to Enda Kenny and Joan Burton: Your time is up. Fine Gael has been thrown into disarray this morning, after its ‘Keep the recovery going’ slogan backfired spectacularly. Enda Kenny didn’t help matters by referring to the people of his constituency as ‘whingers’, not to mention the blatant cronyism that he sported in recent months and years. 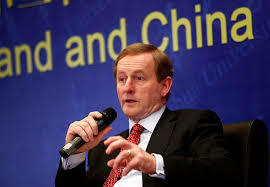 The Taoiseach is said to be “deeply disappointed”, after preliminary results seem to rubber-stamp the Coalition’s demise. Yet, it was his own hand that wrought the deed. Fine Gael has lost support pretty much everywhere in the country, with Fianna Fail and independents making huge gains on the back of Fine Gael’s disastrous performance. And the Coalition’s junior partner, Labour, has suffered virtual annihilation at the polls. Joan Burton will reportedly lose her seat, along with the rest of her party’s TDs, who will now find themselves without a job come Monday morning. Like Gollum clutching the Ring of Power and hoarsely whispering ‘My precious…my precious’, Environment Minister Alan Kelly’s recent, and very public claims that ‘power is a drug’, are almost certain to put a merciful end to the already severely undermined chances of re-election for the Labour party. After a long string of disastrous policies that represented pretty much the antithesis of what the true Labour ideology should stand for, Joan Burton’s party currently has a paltry 7% popular support. A total annihilation at the polls is the most likely outcome, no matter what. And to compound the problem, internal conflict among party ranks is rife. 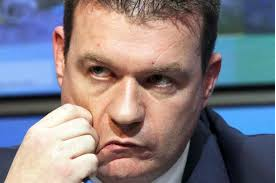 Alan Kelly’s ambitions to oust Joan Burton are no secret. He admitted it himself, when he said ‘power is a drug.’ But it’s the way he’s going about political business that is torpedoing his own chances, and Labour’s in general. Joan Burton herself was forced to take Kelly down a notch or two when he claimed to be ‘his own boss.’ Now, the Tanaiste is having doors slammed in her face while canvassing, largely due to the infamous Jobstown incident, and her sanctioning of the party’s policies. With such disarray at a crucial time, the future for Labour looks bleak indeed.